It takes two to make a baby. We are all aware of that, even though a group of “crazy” scientists are trying to convince us that, soon, men will no longer be necessary. Still, the truth is that on a genetic level both man and woman contribute equally to the making of a baby but it is the woman, the mother, that carries the baby inside her for 9 months. Only that accounts for the great responsibility a mother has towards her unborn child. She is fully aware that in order for the pregnancy to continue successfully and a healthy baby to be born, she needs to alter among other things the lifestyle she was following so far. There are things that she should not do because the health of her unborn baby is going to be affected. We all know, for instance, the hazards of smoking during pregnancy. But it is not only smoking that a pregnant woman should refrain from. Alcohol is a major health hazard to the unborn baby too. Unfortunately, though, a significant number of pregnant women often regard it as relatively harmless since, as they say, “they only have a rare drink every now and then”. Although no mother wants to intentionally harm her baby, the reality is that consumption of alcohol during pregnancy has serious consequences on the child before and after birth. Alcohol consumption during pregnancy is the cause of Fetal Alcohol Syndrome (FAS). It is not a single birth defect but a combination. FAS is the leading cause of preventable mental retardation in the world and presents a global health concern. Naturally, many will think that this applies only to women that drink a lot during pregnancy. Reality is that larger alcohol consumption increases the problems, but light drinking can cause problems too. Any amount of drinking during pregnancy increases the risk of having a child with FAS as a “safe” level of alcohol use during pregnancy hasn’t been fully established. The Department of Health in the UK, recommends that pregnant women and those trying to conceive, should drink no alcohol at all or no more than 1-2 units per week. A recent study published at the British Medical journal, however, showed that women that drunk alcohol while pregnant, even the minimum amount recommended, had an increased risk of premature birth and/or giving birth to unexpectedly small babies. Is maternal drinking during pregnancy only responsible for FAS? 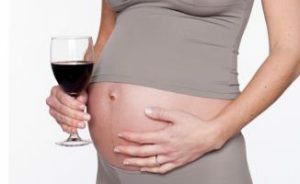 As the concequences of maternal alcohol consumption while pregnant have been established, research was directed towards the effects of drinking, of both partner’s, during the period leading up to conception. An important discovery regarding both parents was revealed. Results indicated that women should refrain from drinking at least three months before they try to get pregnant. They carry the baby, so this finding is somehow normal. What is present in their body the baby knows and gets affected by, good or bad. The breakthrough however, came while studying dads’ drinking prior to conception. While so far, maternal exposure prior or during pregnancy was the cause of FAS, several mice and human studies have reported that paternal alcohol intake prior to conception has been associated with congenital malformations, low birth weights, growth retardation, and neonatal mortality (Friedler,1996; Passaro et al.,1998). Still, further studies needed to be made to determine the actual etiology. New breakthrough research (Hye Jeong Lee et al., 2013) came to back-up these older findings with new data that showed that dads can be also responsible for FAS. You may wonder how can that be possible, since the father does not directly come in contact with the developing embryo. The answer is: through his sperm. This latest study evaluated the offspring of male mice exposed to different concentrations of alcohol prior to conception. The findings revealed that alcohol consumption caused toxic changes in the DNA of the sperm that resulted in abnormal development of the fetus and often caused teratogenesis. So, can developmental abnormalities be predetermined at fertilization? This research proves so. And, exposure to harmful substances, like alcohol, by dads prior to conception can lead to a high-risk-for-birth-defects pregnancy. Until now, dads’ lifestyle choices did not affect their unborn children but this research definitively proves otherwise. It proves that both the mother- and the father-to-be are responsible for their future baby’s well-being, even before conception. They both should refrain from bad habits and not just women, as it was the belief until recently. It takes two to make a baby and it takes two to care for it before conception, during the pregnancy and after birth. “Yes, but I didn’t know I was pregnant” some women might say. To protect your baby (and your conscience) from such a situation, sexually active women that they and/or their partner drink heavily should control their drinking behavior as well as use birth control to avoid unplanned pregnancies. If you are thinking of starting a family you and your partner should stop consuming alcohol at least three months before trying to get pregnant.